THP was fortunate enough to spend some time with Project X shafts and learn a lot more about the LZ Handmade shaft that is getting major buzz right now. During the visit, the company created a custom shaft and THP is going to give that away. Watch below as the shaft is created before your eyes by hand in this incredibly unique process. Each of the LZ Handmade shafts from Project X is done this way and the result is something that must be tried to understand. 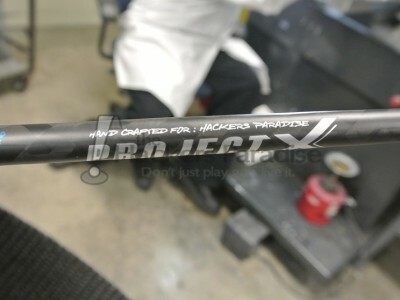 We want to give one of these custom shafts away, complete with the “Handcrafted For Hackers Paradise” paint job. Entering is easy and can be done by clicking the link below. All you will have to do is post in the forum that you want the shaft. So cool a lucky THPer can game this amazing custom shaft!